The Rolls-Royce RB.53 Dart is a long-lived British turboprop engine designed, built and manufactured by Rolls-Royce Limited. First run in 1946, it powered the first Vickers Viscount maiden flight in 1948, and in the Viscount was the first turboprop engine to enter airline service, with British European Airways (BEA), in 1950. On 29 July 1948 a flight between Northolt and Paris–Le Bourget Airport with 14 paying passengers in a Dart-powered Viscount was the first scheduled airline flight by any turbine-powered aircraft. The Dart was still in production when the last Fokker F27 Friendships and Hawker Siddeley HS 748s were produced in 1987. Following the company convention for naming gas turbine engines after rivers, this turboprop design was named after the River Dart. Designed in 1946 with a two-stage centrifugal compressor by a team under Lionel Haworth using experience gained with the earlier Rolls-Royce Clyde, the Dart engine was initially rated at 890 shp and first flew in the nose of a converted Avro Lancaster in October 1947. Improvements in design led to the Dart RDa.3 of 1,400 shp which went into production for the Viscount in 1952. The RDa.6 increased this rating to 1,600 shp, and the RDa.7, thanks to a three-stage turbine, increased this to 1,800 shp. Later Darts were rated up to 3,245 ehp, remaining in production until 1987, with some 7,100 having been produced having flown some 170 million flying hours. The Dart was also produced under licence in India by Hindustan Aeronautics Limited. As well as the RB.53 designation each mark of Dart engine was allocated a Ministry of Supply (MoS) "RDa.n" number as well as Mk.numbers. 3,245 hp (2,419.80 kW) estimated power at 15,000 rpm, with Water/Methanol injection for the Hawker-Siddeley HS.748MF Andover C Mk.1. A Rolls-Royce Dart mounted on a Fokker F27 Friendship. Avro 748 (Hawker Siddeley H.S. 748) : Feeder airliner. Fokker F27 Friendship : Small airliner from Dutch aerospace and aviation manufacturer Fokker. The original model on which several other airliners were based (such as the abovementioned F-27 and FH-227). Grumman Gulfstream I (G-159) : Executive transport & small airliner. Includes the stretched Grumman Gulfstream I-C (G-159C). Some Douglas DC-3 transport aircraft have been upgraded to use Darts. DC-3s in BEA service with this update were called Pionairs. Another conversion is the Conroy Turbo Three. 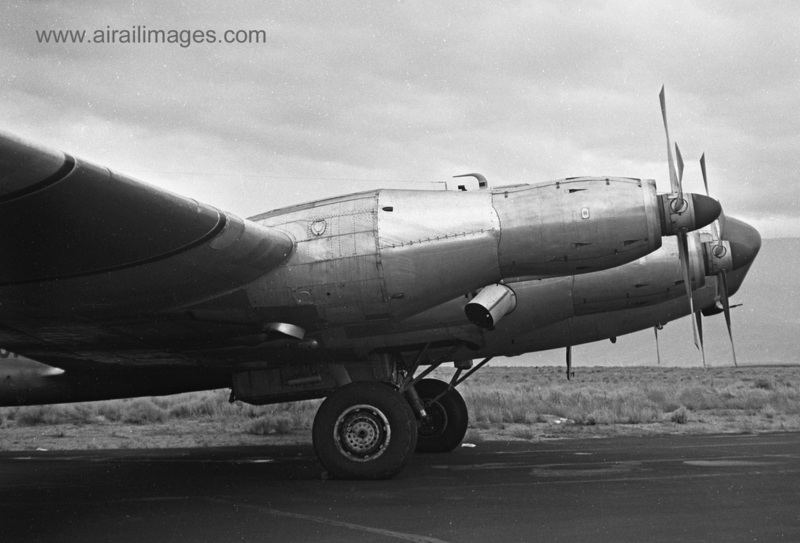 Boeing B-17F Flying Fortress : A unique one was converted by Aero-Flite Company with 4x Rolls-Royce Dart turboprop engines and was used for fire fighting. Power output was around 1,500 hp (1,120 kW) in early versions, and close to twice that in later versions, such as those that powered the NAMC YS-11 airliner. Some versions of the engine were fitted with water methanol injection, which acted as a power restorative in hot and high conditions. A Rolls-Royce Dart is on public display at the Royal Air Force Museum Cosford. Two Dart engines are on display at Brooklands Museum, Weybridge, Surrey, alongside a Vickers Viscount airliner. A Rolls-Royce Dart is on public display at the Rolls-Royce Heritage Trust, James A. Allison Exhibition in Indianapolis. A Rolls-Royce Dart is on public display at the Gatwick Aviation Museum. A Rolls-Royce Dart is on public display at the National Air and Space Museum. A Rolls-Royce Dart is on public display at The Canadian Museum of Flight. A Rolls-Royce Dart is on public display at the Australian National Aviation Museum. A Rolls-Royce Dart is on public display at the Aviation Heritage Museum (Western Australia). A Rolls-Royce Dart Mk.511 is on display in the Parson's Building, Trinity College, Dublin. Data from Jane's All The World's Aircraft 1965–66. ^ Turner 1968, p. 9. ^ Taylor 1982, p. 736. ^ "Tails Through Time: The Turboprop B-17 Flying Fortress". www.tailsthroughtime.com. Retrieved 5 April 2016. ^ Johnsen, Frederick. "Airailimages.com". Kenneth G. Johnsen. ^ Taylor 1965, pp. 485–6. Taylor, John W. R. Jane's All The World's Aircraft 1965–66. London: Sampson Low, Marston & Company Ltd, 1965. Turner, P. St. John. Handbook of the Vickers Viscount. London: Ian Allan, 1968. ISBN 978-0711000520. Wikimedia Commons has media related to Rolls-Royce Dart.